Expect changes to Metro's track work schedule this weekend, between numerous local events and possible storm damage from Hurricane Florence. WASHINGTON — The Navy-Air Force Half Marathon and Navy 5 Miler will close streets Sunday in and around downtown D.C., but also provide a brief respite from some of the weekend Metro track work that significantly slows riders on Saturday. Still, Metro does not open until 8 a.m. Sunday (depending on location and direction of travel, the first trains may be significantly later), despite the race beginning at 7 a.m.
All weekend, White Flint and Grosvenor-Strathmore will be closed on the Red Line, with shuttle buses running between Twinbrook and Medical Center. 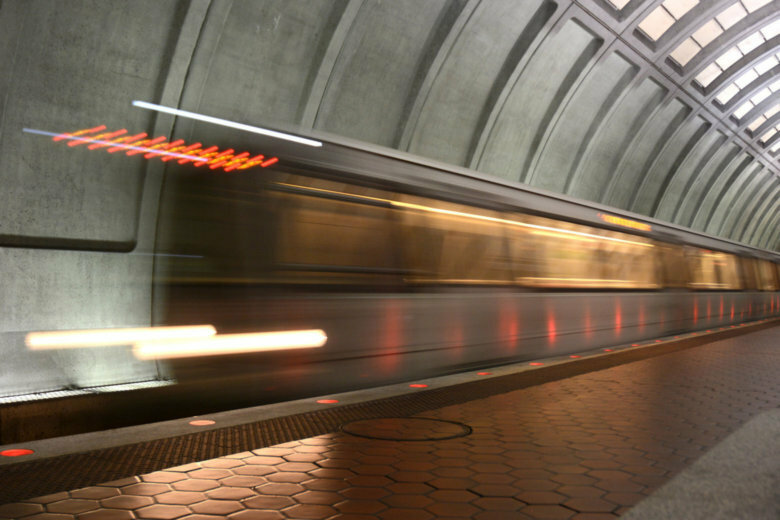 The last inbound trains from Shady Grove and Rockville will leave 25 to 28 minutes earlier than usual on Saturday and Sunday. Red Line riders who have the option are better off using the Glenmont/Silver Spring branch of the Red Line this weekend than stations north of Medical Center. On the Blue, Orange and Silver lines, single-tracking all day Saturday will cut trains to only every 26 minutes. On Sunday, the lines are scheduled to operate normally until single-tracking resumes at 10 p.m. for the final hour of service. On the Yellow Line, single-tracking all day Saturday also reduces trains to every 26 minutes with service additionally cut back to run only between Huntington and Mt. Vernon Square. Like the Blue, Orange and Silver lines, normal Yellow Line service between Huntington and Fort Totten is planned to resume on Sunday until 10 p.m.
No track work is scheduled on the Green Line this weekend. Due to Hurricane Florence’s impact in the Carolinas, Amtrak has canceled service south of Washington this weekend. The half-marathon on Sunday morning is scheduled to close roads around the National Mall, including Independence Avenue west of 14th Street, Maine Avenue SW, Ohio Drive, Arlington Memorial Bridge and Rock Creek Parkway. The route is entirely within the District and does not cross into Virginia. A series of other construction-related lane closures are still planned in some parts of the area, but the full weekend closure of the Memorial Bridge has been delayed until next weekend due to weather. That full closure from Friday night until early Monday morning is just the start of a long construction project due to pick up next month. On Saturday morning, roads in Georgetown, including the eastbound Whitehurst Freeway, are scheduled to be closed from 7:30 a.m. to 10 a.m. for the Race to Beat Cancer 5K. Several other events planned this weekend have also been canceled or postponed, including Fiesta DC, which is now planned to be held next weekend, and the H Street Festival, now scheduled for Oct. 13. The status of other construction closures, college and high school sporting events and other activities around the region vary due to the rain in the forecast ahead of Florence’s arrival in the region. In Maryland, drivers should still expect traffic on the Beltway and elsewhere in and around Landover for the Washington Redskins game scheduled for 1 p.m. Sunday.